Taiwanese actor and singer Wu Chun (吳尊) is known for keeping his personal life very private, choosing to keep his marriage a secret for years until his shocking announcement in 2013. However, the 37-year-old delighted his fans recently when he shared photos of his son’s 3rd birthday celebration. 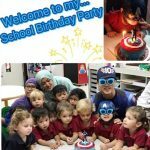 Since his son, Max, is a fan of Captain America, the birthday party had an Avengers theme. Although Max’s face was partially hidden by glasses and a hat, his resemblance to Wu Chun’s handsome looks was still noted. 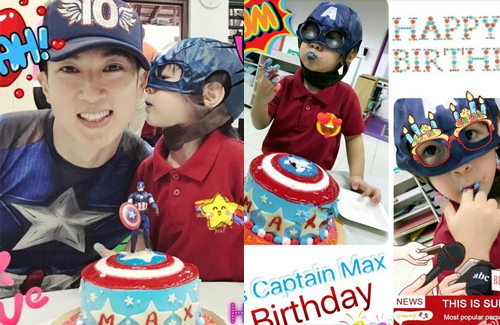 Many fans gave heartwarming birthday wishes and complimented on Max’s cuteness as well. Fans grew to know Wu Chun’s daughter, Nei Nei, very well after the duo starred in 2014 Mainland reality television show, Dad is Home <爸爸回來了>. On the other hand, fans were less familiar with Wu Chun’s son, Max. So sweet to see celebrities enjoying simple things, such as a superhero-themed birthday party for their kids, like the rest of us. 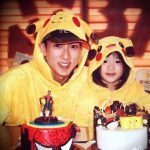 @jayne yes it is very sweet to be able to see celebrities have a breath of normalcy, such as Wu Chun’s son’s superhero-themed party. it’s even sweeter that Wu Chun is in a way getting rid of his celebrity status to be able to spend time with his family like a normal person. I really like how he can clean with his marriage and his daughter. Happy for his family for sure. Must be nice to not hide and be able to spend time like this with the kids! Sweet!